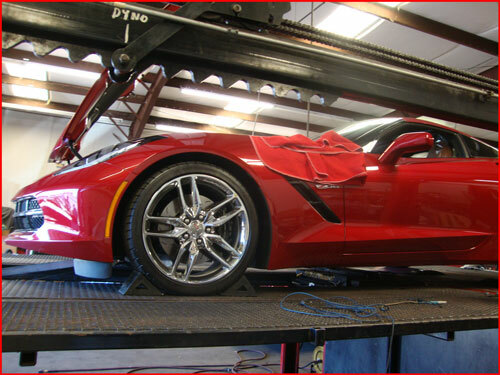 Let our ASE certified mechanics take care of your Corvette. Whether you're in need of an oil change, or a major service interval, our qualified service technicians are here to provide top quality service on your car. Having a problem with your Vette you need solved? Let us troubleshoot your Vette. 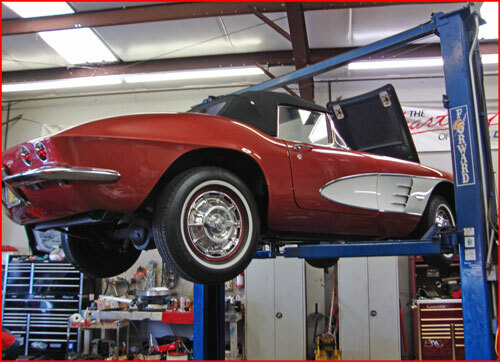 We have the latest state of the art diagnostic tools, and the experience to resolve your Corvette problems. Call for an appointment today! Corvette Masters is a premier performance tuner of GM engines. Our experience and knowledge is an added benefit to you. Many of the systems on today's performance vehicles are complex. We understand these systems and know what it takes to get the most horsepower from any combination. Corvette Masters is your best choice for complete performance of your GM muscle car. We offer professional installation from a simple crank pulley change, to a rear end gear installation or an all out competition race engine. You can be assured that it will be done correctly and with attention to detail. Let Corvette Masters engine building experience work for you. We can rebuild your classic to factory specifications, or build you a full competition 1200 hp race engine, or anything in between. Our knowledge and experience with the multitude of performance options available in the high performance market enables us to ensure you get the most power in your application. We will build and install complete chassis setups for road racing. We offer custom roll bar and roll cage design, fabrication and installation. At Corvette Master's, we don't limit our services to a simple "grocery list" of services. Our motto says it all - You Dream It! - We Build It. So, call us today! We're here for you!